The research team consists of the core group of individuals running the study consisting of Professors in Obstetrics and Gynecology, Business, Public Health and Health Systems, a Midwife from the College of Midwives, and a Research Coordinator. Dr. Lobb is an associate professor in the Department of Obstetrics and Gynecology at McMaster University. 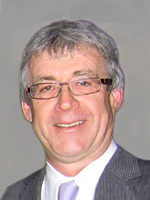 He developed the science courses for the Ontario MEP when it began in 1993. He has since taught his Reproductive Physiology course at Ryerson University, Laurentian University, the University of Manitoba and continues to teach this course at McMaster. His observations on student retention and pilot studies provided the impetus to create our current research team. Dr. Zeytinoglu is Professor of Management and Industrial Relations at the DeGroote School of Business, McMaster University. She has expertise in health human resources focussing on retention, job satisfaction, flexible employment and occupational health and safety. 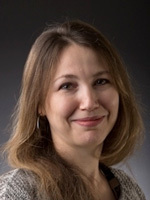 Dr. Neiterman is a lecturer at the School of Public Health and Health Systems at the University of Waterloo. She has expertise in health human resources, education, policy analysis, women’s health, women’s paid and unpaid work, and midwifery education and policy. 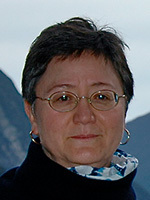 Farimah HakemZadeh is an Assistant Professor at Thompson Rivers University in the School of Business and Economics. 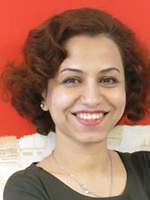 She has a Ph.D. in Management of Organizational Behaviour and Human Resources from McMaster University. 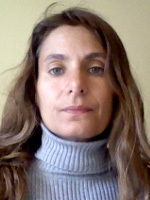 Her primary research interest is on Evidence-Based Management, knowledge transfer, and research-practice gap. She is focused on both theoretical development and empirical studies that look into evidence-quality, dissemination, and implementation of evidence in decisions, managerial practices, and policies. She is currently researching these topics in two empirical settings: health human resources and education. Johanna Geraci is a registered midwife with the College of Midwives of Ontario and a graduate of the McMaster Midwifery Education Programme. She has provided midwifery care and clinical mentorship in Canada and overseas. Johanna has a Master’s degree in Health Research Methodology and has conducted research on the delivery of prenatal care in Nunavut and the delivery of an adult education curriculum. She currently works at the College of Midwives of Ontario. Jenn Plenderleith is the Research Coordinator on this project. 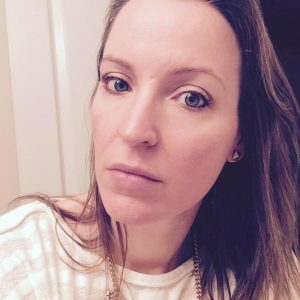 She has over 10 years experience coordinating research with a variety of populations including: older adults, physicians, nurses, PSWs, cardiac rehabilitation patients just to name a few. Jenn has a Master’s of Science Degree in Kinesiology; specializing in Health and Exercise Psychology. She is also a Certified Clinical Research Associate. The RAC is invaluable, with their vast knowledge of the midwifery field they assist in many facets of the project; including designing, recruitment, conducting and evaluation of the study. A HUGE thank you to the site coordinators for their support over the past year!! We appreciate all of your time and assistance to this project. There are 7 Midwifery Programs across Canada, all of which are supportive of this study. At each University we have site coordinators who assist with the recruitment efforts of midwifery students. The student survey would not be feasible without their dedication and assistance.